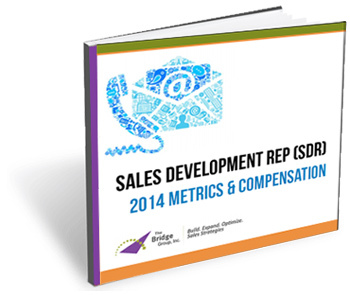 At long last, we are publishing our SDR Metrics & Compensation Report. I want to thank the 222 technology companies that participated. In this report, we compiled 37 pages of data, insight & trends. For those of you who don’t have the time or energy to read the full report (and I hope you find both at some point), I thought I’d share a few snippets with you. 1. SDR specialization hits 40% adoption! Companies are splitting inbound & outbound roles. 2. For SDRs, Sales experience prior to hire has dropped to 1.8 yrs. An all-time low. 3. SDR months at full productivity dropped to 22 months. Tenure is flat, ramp is rising! 4. Dialing technology works! Delivering a 22-34% bump in connects per day. 5. SDRs making 6.1 attempts per inbound prospect. But 30% more for outbound (7.8). You can download the full report below. I hope you'll take a look and come back to share your thoughts.